Michael Lally was born in Orange, New Jersey in 1942. 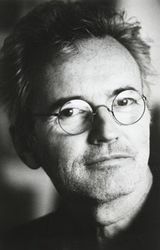 He has published twenty-seven books of poetry and prose; written and directed several plays; written several screenplays; acted in many movies, including Basic Instinct, The Human Condition, and most recently, Last Grave. I love this verse, it is so true sometimes. Do you have any comments, criticism, paraphrasis or analysis of this poem that you feel would assist other visitors in understanding the meaning or the theme of this poem by Michael Lally better? If accepted, your analysis will be added to this page of American Poems. Together we can build a wealth of information, but it will take some discipline and determination.